The complete name of this cereal is Overwatch Lucio Oh's. It first appeared in December of 2018. It consists of green and yellow loops with a flavor described as "sonic vanilla". 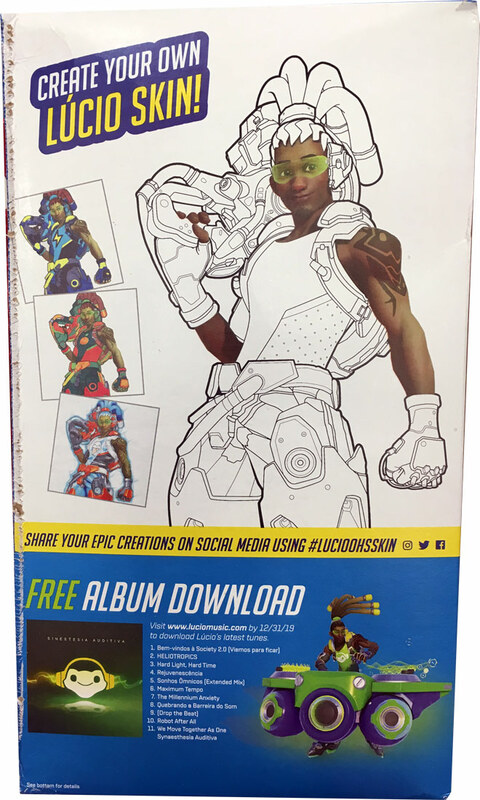 Lucio is a character from a video game called Overwatch. 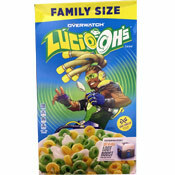 Lucio Oh's first appeared as a fictional cereal within the game, before becoming an actual product. Each box of Lucio Oh's comes with something called a "Loot Boost". According to a promotional page from Kellogg's an Overwatch Loot Boost "grants an additional standard Overwatch Loot Box the next three times you level up in-game." 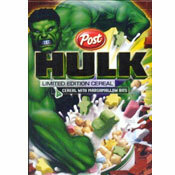 The cereal is part of a partnership between Kellogg's and Blizzard Entertainment. 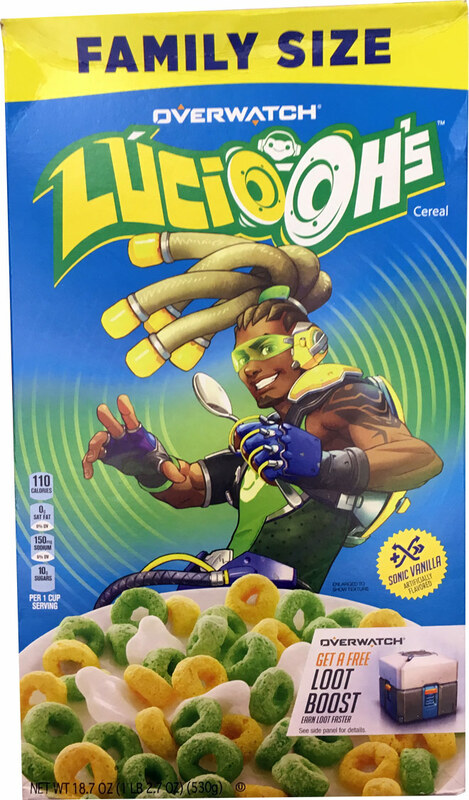 A commercial for the cereal used the tagline "Boost Your Breakfast" and included the Lucio character saying, "Amp up your breakfast with a sonic boom... Overwatch never tasted so good." The first 4 ingredients listed on the nutrition panel are corn flour blend, sugar, wheat flour and whole grain oat flour. What do you think of Lucio Oh's?